Applying for the is quick and easy. We take your privacy and security seriously. That is why any sensitive information you submit on this site is encrypted while it is transmitted and stored. Learn More. Tell us a little more about you and your business. What is your business' physical address? No P.O. Boxes please. Subsidiary or Doing Business As Special characters are not allowed. Business Address * Your Business Address Line 1 may be used to verify your address and is required to process the application Special characters are not allowed. Business Address 2 Special characters are not allowed. Check here if billing contact or address is different from the business contact or physical address above. Billing Address * Your Business Address Line 1 may be used to verify your address and is required to process the application Special characters are not allowed. Billing Address 2 Special characters are not allowed. To get you set up with your cards, we will need the information below to verify your identity. Residential Address * Your Business Address Line 1 may be used to verify your address and is required to process the application Special characters are not allowed. Residential Address 2 Special characters are not allowed. *I certify that the information provided is complete and correct and agree to the Application Terms & Conditions. To view our full product Terms and Conditions Click Here. Your cards will be embossed with the word "vehicle" plus the description for each card below. Please confirm your information is accurate before submitting your application. To correct any mistakes or missing information, click the 'Edit' button. Your application has been submitted. A representative will contact you shortly. If you have any questions regarding your application, call 1-800-633-3271 to speak with a representative or contact us. Have expenses to cover? Need more credit to improve cash flow? FleetcardsUSA Credit can help! Find out if you qualify for our revolving line of credit by completing our 3 step application. 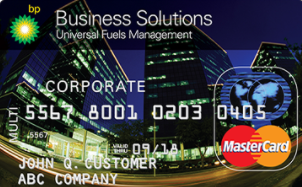 Congratulations, you've made the right choice to help fuel your business!